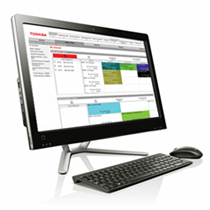 MiContact Center solutions improve employee productivity and control operational costs within businesses of all sizes. 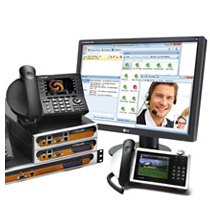 Mitel MiContact Center is designed to meet the needs of informal contact centers in all shapes and sizes. To meet the needs of internal “customers,” some departments in large organizations perform a contact center role without thinking of themselves as contact centers. At the other end of the spectrum are enterprise-class operations that may have agents at multiple sites worldwide. They require automated interactions, advanced routing algorithms, workforce management tools, and a whole array of other capabilities to operate effectively. MiContact Center Workgroup Edition (available on the MiVoice Business platform) is designed to meet the needs of informal contact centers up to 200 agents across multiple sites. 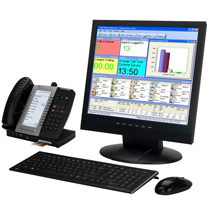 MiContact Center Business Edition (available for the MiVoice Business platform) delivers robust contact center, IVR, and multi-media functionality and reporting but is packaged specifically for small contact centers that have sophisticated, enterprise-grade requirements. MiContact Center Enterprise Edition (available for the MiVoice Business platform) is a robust, highly flexible solution that delivers feature-rich IVR capabilities and contact center monitoring, reporting, forecasting, and agent productivity tools for the most sophisticated contact centers, including virtual, multi-media contact centers with multiple locations and remote agents. Built natively on the Microsoft Lync Server call control and Lync desktop client, MiContact Center for Microsoft Lync is an end-to-end Lync solution that combines multi-media capabilities, a feature-rich IVR, ACD routing with in-queue messaging, extended Lync presence, real-time reporting, historical monitoring and forecasting, and CRM screen pop functionality. MiContact Center Outbound is a preview, progressive, power, and predictive outbound dialing solution that includes tightly integrated Customer Relationship Management, campaigning, and agent scripting capabilities. MiContact Center Live is a true cloud solution that enables businesses to intelligently deliver quality customer experience anywhere, anytime, from any device, and across any channel.